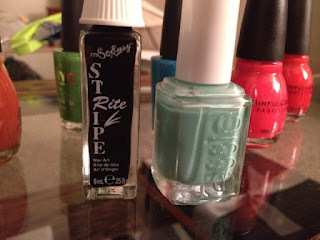 Here is my first use of the awesome Stripe Rite nail polish that I got from my friend a couple weeks ago. 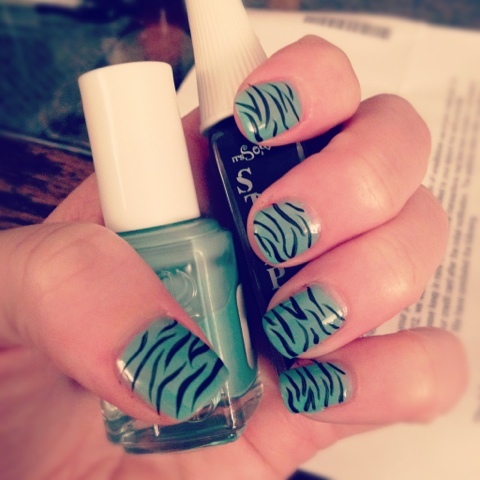 There are so many fun ideas on the internet; so after a bit of searching I decided to try out the Zebra Nail. It was a lot of fun to do and actually pretty easy! I even managed to do my right hand as well, and it didn't look too shabby! Lots of fun to do and got lots of compliments too. brush that works really well for striping! 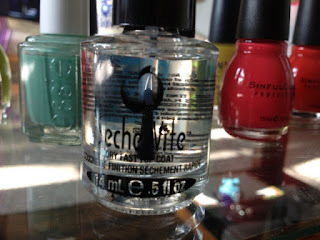 strong, and gives it a nice glossy finish. Found at Sally's Beauty.